Marine Ecological Processes is a modern review and synthesis of marine ecology that provides the reader - particularly the graduate student - with a lucid introduction to the intellectual concepts, approaches, and methods of this evolving discipline. 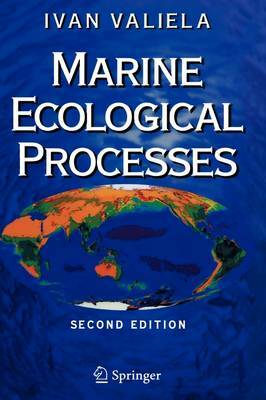 Comprehensive in its coverage, this book focuses on the processes controlling marine ecosystems, communities, and populations and demonstrates how general ecological principles - derived from terrestrial and freshwater systems as well - apply to marine ecosystems. Numerous illustrations, examples, and references clearly impart to the reader the current state of research in this field; its achievements as well as unresolved controversies.